Tampa Bay Design Week is excited about our documentary screening Eames: The Architect and the Painter tonight, but we are even more excited about the screening venue: Tampa Theatre. Let's talk about this beloved legendary local treasure in our community! 1. Built in 1926, this movie palace was designed by pioneer theater architect John Eberson in his most developed and promoted atmospheric theater style. 2. One of the characteristics of atmospheric theater style is the illusion that you are outdoors under a night sky. Tampa Theatre is successful in providing that experience. To achieve the atmospheric effect, Eberson installed a smooth, domed ceiling with 99 electric twinkling stars and projected clouds. He also created whimsical and elaborate facades of plaster, populated with reproductions of famous statuary. 3. Tampa Theatre was enormously popular when it opened. For the first time in history, the common person had access to opulence on a scale never before imagined. For 25 cents they could escape into a fantasyland for two hours, enjoy first-class entertainment and be treated like royalty by uniformed platoons of ushers and attendants. By the end of the 1920s, more than 90 million Americans were going to the movies every week. For several decades, Tampa Theatre remained a jewel at the center of Tampa’s cultural landscape. 4. As American cities expanded to the suburbs, downtowns suffered damaging effects in business. In the 1960's, many of our nation’s finest movie palaces were demolished as the land beneath them became more valuable than the theater’s operations. In 1973, Tampa Theatre faced the same fate. But Tampa’s citizens rallied. Committees were formed, community leaders got involved, and soon a deal was reached to have the City rescue the Theatre. By the time the Theatre reopened to the public in January 1977, it had become something of a national model on how to save an endangered theater. Tampa Theatre was named to the National Register of Historic Places in 1978, is a Tampa City Landmark, and is a proud member of the League of Historic American Theatres and the Art House Convergence. 5. Today, Tampa theater welcomes millions of people to Downtown Tampa and is one of the most heavily utilized venues of its kind. The community owns Tampa Theatre. It is operated and programmed for the public benefit by the non-profit Tampa Theatre, Inc. under terms of a 50-year operating agreement with the City of Tampa. 6. Tampa Theatre is Hunted! Any old theatre worth its salt has a ghost or two, and they will be happy to tell you the story on the next Balcony to Backstage Tour! Tampa Theatre has an impressive list of accolades! Don't you feel proud to have such an incredible jewel in Tampa? 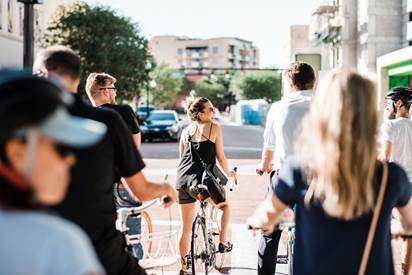 The Tampa Bay Foundation for Architecture and Design, and AIA Tampa Bay are excited to announce our events schedule celebrating an array of design disciplines in the Tampa Bay community. Join us at our Kick-off Party to celebrate our culture of Culinary Design! 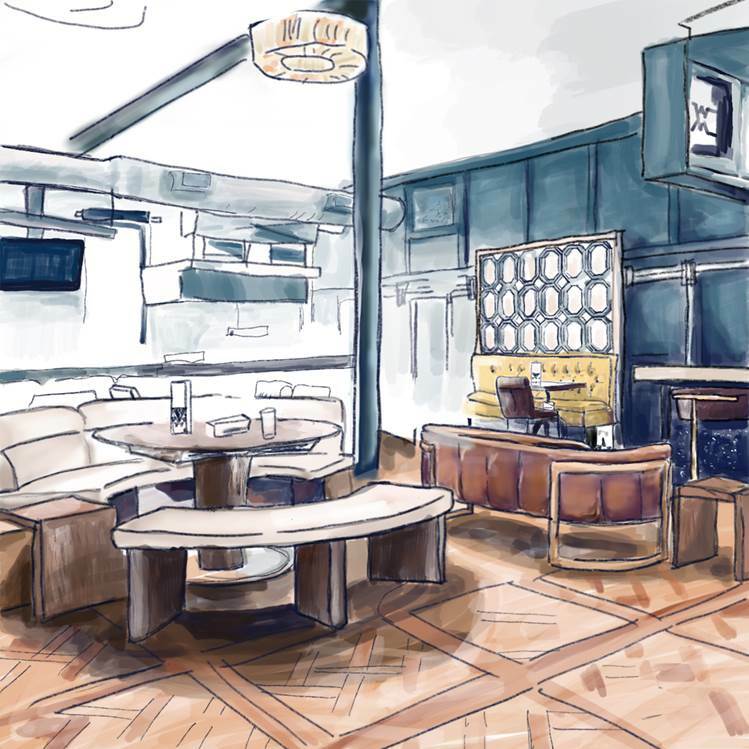 TBDW is partnering up with The Hall on Franklin to bring you a very special dining experience! Their taste architects will share their experiences with incorporating design into their business concepts and cuisine. Join Melissa Davies of the City of Tampa, Art Programs Division for a tour of the City’s Public Art along the newest segment of the Tampa Riverwalk. Along the walk you’ll see gorgeous sculptures, a colorful glass. installation, and murals that enhance the experience of the beautiful Riverwalk. We are happy to announce that Illsol will be presenting Murals for Property Owners at our Best Practice Discussion. Through this presentation, you will learn about distinguishing artwork from signage according to building codes, and best practices in overlay and historical districts. This presentation will also go over steps to hiring a professional artist or muralist, and maximizing the economic value of public art for private businesses, artists, and neighborhoods as a whole. Lastly, our fourth annual Pop-Up family-festival will feature installations dreamed up and built by teams of local designers, artists, engineers, and contractors. The installations will transform spaces in Ybor City's historic district - alleyway, storefronts and sidewalks- and will demonstrate their true potential. Image: Proposed Installation by Team Hecho: Brian Cook, Josh Frank and Russel Oliver. Join us at the Florida Museum of Photographic Arts to merge the worlds of Design and Photography. Terri Fleming of Gulf Tile & Cabinetry will give a presentation about the applications and techniques of digital printing on tile. Following the presentation, FMoPA members and lecture attendees will have the opportunity to network, discuss design and photography trends and view work from emerging local photographers. 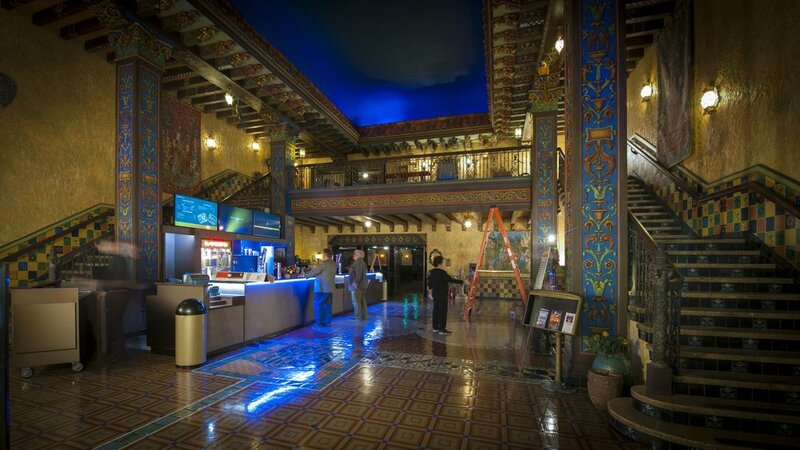 Additionally, documentary Eames: The Architect and the Painter will be screened at the newly renovated Tampa Theatre, considered by BBC to be one of the ten most beautiful cinemas in the world. The husband-and-wife team of Charles and Ray Eames are widely regarded as America's most important designers. Perhaps best remembered for their mid-century plywood and fiberglass furniture, the Eames Office also created a mind bending variety of other products, from splints for wounded military during World War II, to photography, interiors, multi-media exhibits, graphics, games, films and toys. Learn more about how their personal lives influenced on significant events in American life. Interested in Set Design? Stageworks Theatre, Tampa's longest running professional theatre company, will share an inside scoop during this workshop. 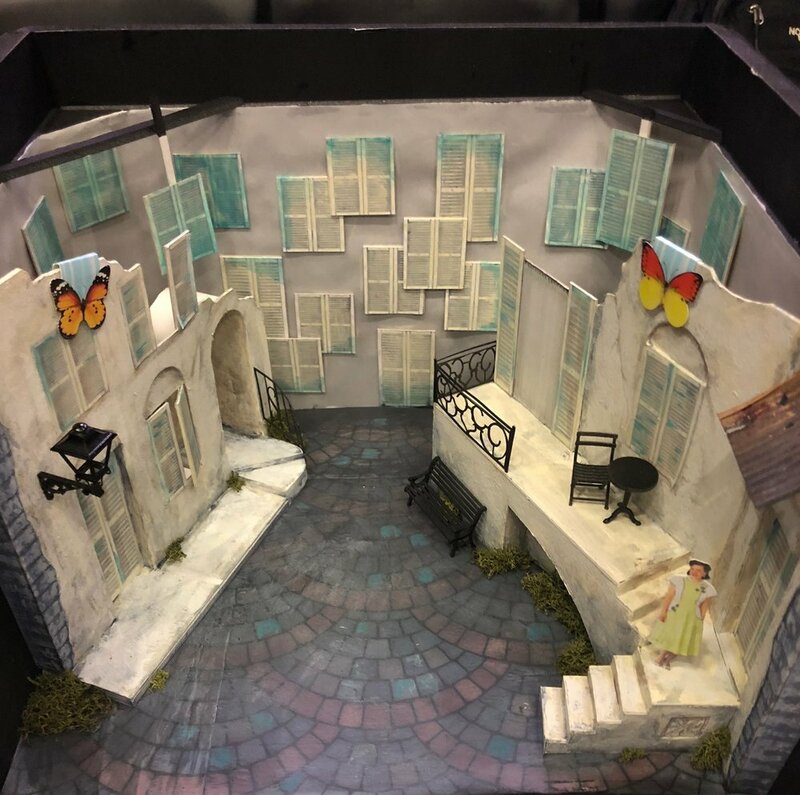 Learn more about the set design process from award winning designer Frank Chavez and its central role in theatre production. Explore Restaurant design with Florida Bike Tours. Hear from the talented architects and designers who have created some of Tampa's newest dining spaces, enjoying food and drinks along the way. Stay tuned for tour announcements! The highlight event, the Pop-Up Festival will once again transform a Tampa neighborhood – Ybor City, with one-of-a kind interactive design installations. This year 8 teams of multi-disciplinary designers will create installations in vacant storefronts and alleyways. Architecture firms, museums and restaurants will also open their doors. The event will take place on Saturday, April 14th from 11 to 4 p.m. in Ybor City’s Historic District. Check Out 2016 Pop-Up Festival Event! Designers and design teams are invited to create Parklets for the annual Design Week Pop-Up Festival on Saturday, November 5th in the Channelside District. Parklets are mini-parks that take back the space normally used to park one car for public enjoyment. We are taking it one step further…we are challenging teams to design their Parklet implementing the principals of “Well Design”. Team stipends provided, along with the chance to have your Parklet live on as a semi-permanent installation in downtown Tampa.